Found in Zimbabwe, this is the grandest and most rare of the Sable antelope. This is a beautiful rendition with a black patina and its unique white markings in plated silver, bronze patinaed horns, and the polished bronze water. A realistic rendition with a modern flare. 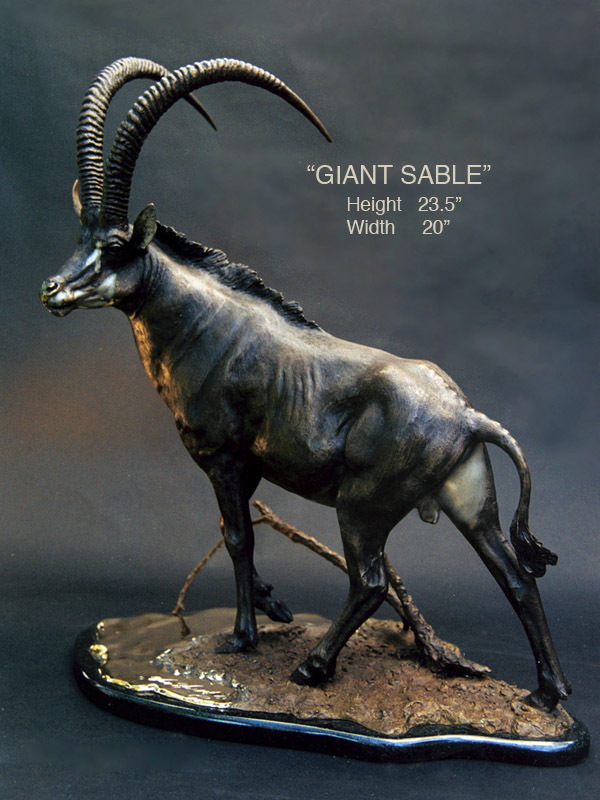 Available also as a monument first commissioned by Safari Business Park in Las Vegas, Nevada.